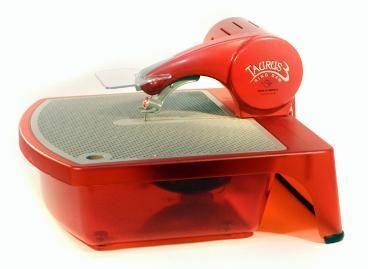 Buy FOUR ring saws (Taurus 3: #08811) from Rainbow each quarter of 2019, send your proof of purchase to Gemini and receive 1 FREE Taurus 3. If you buy less than 4 saws per quarter, you can save your invoices until you have bought 4 saws during the year. Pay only $50 shipping/handling. Saws are mixable to reach the FREE Taurus 3. Limit of 2 FREE saws per retail store per quarter. Allow 6-8 weeks for delivery. **Valid for U.S Customers Only. Call 310-891-0288 for full details. - 1 instructional DVD & written instruction manual. Net 30 accounts are billed at regular price. 'Bonus" discount is shown on invoice as a deduction by due date.